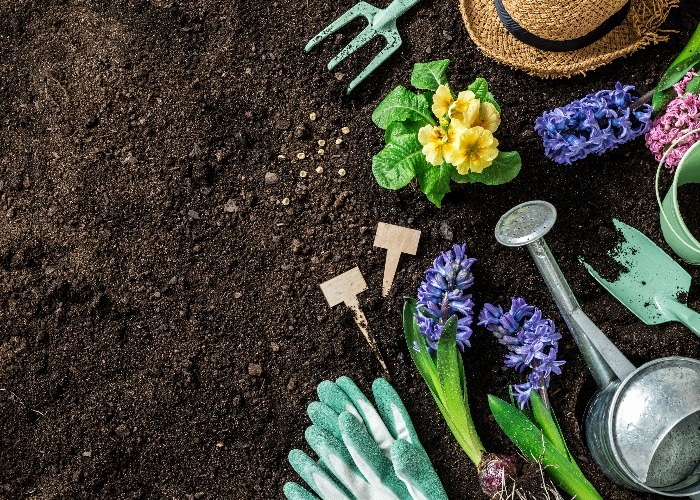 Whether you're a beginner with a windowsill or a veteran with a lawn, we've put together a money saving guide for all green-fingered folk. Sure, your begonias have only just come into bloom, and yes, your favourite garden trowel had its first outing only yesterday, but it's never too early to take stock and figure out what supplies you'll need next year. "Late summer and Autumn are great times to make savings on garden equipment," says gardening expert Diana Walton, head of shows at the prestigious Malvern Autumn Show. "Garden retailers will be looking to clear stock to make way for the festive season, which is why it's a great time to pick up a bargain - whether it’s furniture, lighting or tools. High street stores are often cheaper than garden centres: Lidl, Aldi, Wilkinson, Robert Dyas and your local pound shop are all worth a look. You don't have to have the greenest of fingers to grow plants from seed. Purchasing fully grown plants isn't just more expensive, but limiting, too. When it comes to fully grown plants, garden centres will naturally focus on the best-selling varieties. Plants take up more space and require more maintenance, which is why you'll find more plant varieties if you buy seeds, instead. "Buying seeds rather than plants will save you huge amounts of cash," explains Diana Walton. "You'll have a much wider selection, and there’s nothing more satisfying than watching those green shoots emerge!" Far too many garden tools end up resigned to the back of the garden shed, whether it's because the item in question was an unwanted Christmas present (Cath Kidston trowel sets being a repeat offender), or a high number of duplicate items. For this reason, Diana Walton at Malvern Autumn Show suggests purchasing pre-loved tools. "Good quality tools can often be picked up at car boot sales for a fraction of the original price," she points out. Or you could even get tools for free on Freecycle. Summertime garden shows are fantastic places to snap up great deals on plants and gardening equipment. "Gardening shows are great for bargain hunters - retailers will almost always have special offers," points out Diana Walton. Another plus is the advice available, whether it relates to your struggling sunflowers or the black flies munching on your begonias. "Garden shows are also a great place to quiz experts' brains," adds Diana. "Gardeners like to help other gardeners and are always incredibly free and easy with their knowledge - and sometimes even their seeds, meaning you may even come away with a freebie!" Potatoes, kale, radishes and garlic are quite hardy and you don't need to buy much special equipment (like greenhouses or climbing frames). If it's fruit you're after, currant and gooseberry bushes grow happily in (big) containers and produce year after year. This sort of soft fruit is really expensive in the shops - so after your initial outlay, you could end up saving quite a lot of money on posh desserts! And if you become really keen, you might want to think about getting your own allotment for a relatively small fee. Grow Your Own is a great website with lots of advice on what to grow fruit and veg to grow, and when. Growing flowers can be a great way to keep children cheaply entertained - especially if they're really colourful and can withstand some prodding and poking from little fingers. Sunflowers, sweetpeas, crocuses and daffodils are all good in this respect. If you don't have much space, lobelia and marigolds are quite cheap to buy and perfect for pots and window boxes. And geraniums and fuchsia are particularly good for hanging baskets. If you have bare ground, fences and walls - but don't want to spend much on ‘covering' plants - ivy and campanula are good because they're resilient and spread like mad. Finally, lavender is also affordable and a great way to introduce scent and colour. You could even save money on gifts for family and friends, by using it to make pot-pourri. Mint and lemon balm are both good for beginners because they work well in pots, grow quickly and are difficult to kill. If you don't have much money or space, thyme is also worth a try. It grows to fill small spaces (like paving stone cracks) and spreads well on its own - so you don't have to buy lots of plants. And rosemary and sage are good ‘two in one' options because they also produce pretty flowers which attract bees. Visit The Herb Society for lots of good advice on how to grow and use herbs. Having a tiny garden doesn't mean you can't flex your green fingers - and don't be fooled into purchasing complicated DIY propagation kits, either - you simply don't need them. "Just use your windowsills to grow plants from seed in the spring," suggests Dr Alastair Culham at the University of Reading's Centre for Plant Diversity and Systematics. Basil, coriander, parsley and chilli peppers can all be grown on a warm windowsill, from seeds costing a few pence. Seedlings will also thrive in warm, dark rooms such as airing cupboards. Our sister site lovePROPERTY has loads more great ideas for maximising a tiny garden, which you can see here. Summer heat waves can leave the greenest of lawns looking like Death Valley, with most of us quickly draining the last drop of moisture from our water butts. Which means it's high time to think about other ways to save and reuse water, and you might be surprised to hear that the kitchen's a great place to start. "Using salt-free water used to cook food such as vegetables and pasta means that, once cooled, it can also be used as a fertiliser, feeding the plants as well as giving them a drink, eliminating the need for shop-bought plant food," reveals Diana Walton. In the same way our morning coffee shot perks us up for the day ahead, a sprinkling of coffee grounds will breathe new life into the poorliest of plants. "Old coffee grounds give plants vital nutrients such as nitrogen, phosphorus, magnesium and potassium," explains Diana Walton. Acid-loving plants such as azaleas, hydrangeas, blueberries, and lilies are particularly partial to a coffee-based caffeine fix. Coffee grounds are also ideal for gardeners keen to encourage wildlife because they make an excellent worm feed, too. If you've been admiring your neighbours' clematis with envy for the past three years, why not ask for a cutting, offering a cutting from one of your own horticultural success stories in advance? "Save money by swapping plants and cuttings with friends and neighbours," advises Dr Alastair Culham. "Herbaceous perennials can be easily divided and shrubs often grow readily from cuttings." Many gardeners spend thousands of pounds on products which we simply don't need and knowing your soil type can be a serious money saver. For example, is it silty, clay-based or loamy? To learn more about how to know what type of soil you've got, visit The Soil Association’s website. Weeds are the bain of gardeners' life, and they're a problem which is unlikely to disappear without a little intervention. And don't leave it too late - ignore that cluster of chickweed and your garden could soon turn into a forest of the stuff, and an infestation of Japanese knotweed (pictured below) can render your house unsellable. While nastier specimens, such as knotweed, need to be treated by professionals, the most common varieties of weed are easily dealt with. "Remove blooms on weeds before they go to seed and manage weed seedlings while they are small," urges Professor Lucy Bradley at Arizona State University. "Contact herbicides are much more effective on small plants and much less herbicide is needed, thereby saving you money." Finally, learn how to take and grow cuttings - it's satisfying, time-saving and much cheaper than purchasing plants from garden centres. "One of the easiest ways to cut costs in the garden is to propagate your own plants," says Professor John Rayner, director of urban horticulture at the University of Melbourne. "Many perennials and ornamental grasses can be lifted and divided when the plants are dormant or have flowered, turning one plant into many. “Many other plants, particularly smaller shrubs and herbs can be grown easily from cuttings. The best cuttings are semi-ripe shoots,10-12 cm in length, taken before flowering."